Are you looking to improve the look of your property? Do your trees need to be trimmed or removed? If you answered yes to either of the above questions, Affordable Stump Grinding & Tree Removal in Alvin, TX 77511, is the tree specialist who can take care of all your tree needs. As an active member in the community, Affordable Stump Grinding & Tree Removal has more than 25 years experience, and is very well known and respected. If you are looking for a honest, reasonably-priced, and on time tree service contractor choose Affordable Stump Grinding & Tree Removal. Call us today for a FREE ESTIMATE or fill out our online request form. Affordable Stump Grinding & Tree Removal is a family-owned and operated business, located in Alvin, TX. We know that we would not exist without our customers, so we treat each client very special and make sure all of your tree needs are fully met. Our prices are fair and reasonable and we always get the job done right the first time. Our goal is to provide the best service possible while meeting all of your tree care needs. Affordable Stump Grinding & Tree Removal is committed to providing both a professional and reliable service to the community. Having served in the area for many years, we look forward to continuing to satisfy our past, present and future customers. Call us for a FREE ESTIMATE or fill out our online request form. 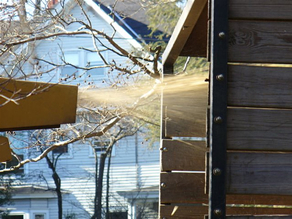 Affordable Stump Grinding & Tree Removal offers many services.